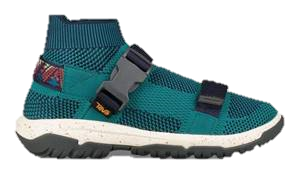 Teva unveiled its Spring 2019 footwear collection paying homage to the brand’s birthplace, the Grand Canyon, on the Grand Canyon National Park’s founding 100 years ago. Coined ‘GC100’, the collection sports a mix of functional features and heritage details, tied together with canyon-inspired webbing that evokes the vibrant aesthetic and earth tone hues of the Park. Teva is honouring its commitment to fostering more adventure in the outdoors by inspiring the next generation of modern explorers. A portion of the $100K, donation will go to the Conservancy’s Grand Canyon Field School, providing scholarships for underserved youth. The program provides kids with immersive educational experiences throughout Grand Canyon National Park. The remainder of the donation will be used to fund the restoration of one of the most popular entries to the canyon, Bright Angel Trail. In addition to renovating parts of the trail that need it most, this will help ensure continued access for visitors to explore the canyon for the next hundred years and beyond. In support of the GC100 collection and partnership with the Conservancy, Teva will be celebrating all year with the “Born in the Canyon” brand campaign designed to share the inspiration and awe of this world wonder with a wider audience. This spring, Teva will unveil a short video series titled “Faces of the Canyon” highlighting individuals who have profound connections to the Canyon and their stories. Additionally, Teva will host a global contest where Malaysian consumers can enter to win a river trip in the Grand Canyon. The GC100 collection is rich with heritage-inspired updates and features five unique styles in Men’s, Women’s and Kid’s featuring an intricate webbing pattern that takes cues from the canyon’s layered red rocks, meandering rivers and spectrum of sunset hues. Spanning updated iterations on classic sandals like the Hurricane XLT2, Original Sandal and Original Universal, as well as the introduction of new silhouettes like the Hurricane XLT2 Alp and the Hurricane Sock, the Spring 2019 collection fuses innovation with inspired design for a fresh twist on modern outdoor footwear. The GC100 collection is now available on Teva.com and Teva outlets at Mid Valley Megamall, One Utama Shopping Centre, Sunway Velocity Mall and selected authorised stores nationwide. 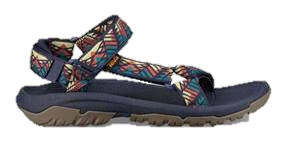 For more information on the collection and campaign, please visit www.teva.com/GC100.